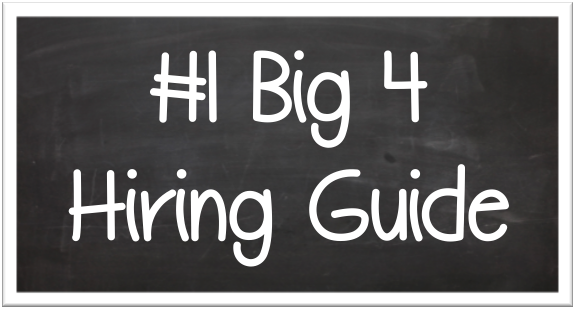 B4G Top 5 Resources — Big 4 Guru - Get Hired By Big 4 Accounting Firms! Big 4 Guru's Top 5 Resources! If you haven't have a chance to pick up a COMPLETELY FREE B4G Resource Guide below to the right, you should now! I have been around the industry for years! I know who has great information and can help you, and who doesn't! I have created this resource guide for you, completely free to help in your quest for the Big 4. Each of these resources is something I have used, or know can help you improve your chances to reach your dreams! If you love this book, and I think you will! Check out our other eBooks below! Get hired at Big 4 Accounting Firms!